Let us add custom seats and upholstery to your golf cart! IN EAST TEXAS AND THE DALLAS-FORTWORTH AREA! Look closely, and you'll see the difference in our carts vs others - reputation and customer satisfaction mean everything. Serving all of East Texas including Dallas and the Dallas-Fort Worth Metroplex! Here at Big Dog Custom Carts, we pride ourselves on going a little further when building a custom cart. We strip down a cart and acid-clean the aluminum frame (Club Car) in our Whitehouse, TX, shop to make it look like it just came off the assembly line. We clean and paint all suspension and steering components, and we go over all the little details that other dealers may skip. 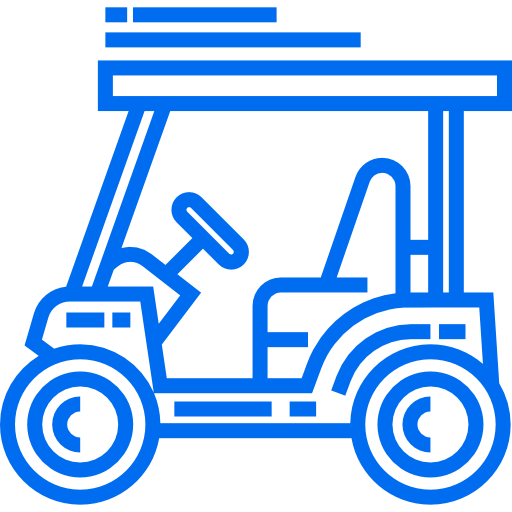 If you're looking for a custom golf cart shop or golf cart parts in the Whitehouse area or East Texas, look no further! We use automotive paints (base coat, clear coat) to give it that shine and depth of a show cart. We do custom-themed carts - football, baseball, your business name and more. We take trade-ins, and we sell a variety of carts in different price ranges. We do all kinds of service work and use a Club Car diagnostics computer - so we can even turn up the speed of your current Club Car. Come in and pick out a cart to have customized, or bring in yours and we will build it to your liking. Copyright © 2019 Big Dog Custom Carts , all rights reserved.